Posted in: Crime Stoppers, Media Release, Put A Name with This Face, Reward, WANTED. Tagged: Dodd. Franklin Police are hoping someone from the public might recognize this crook. 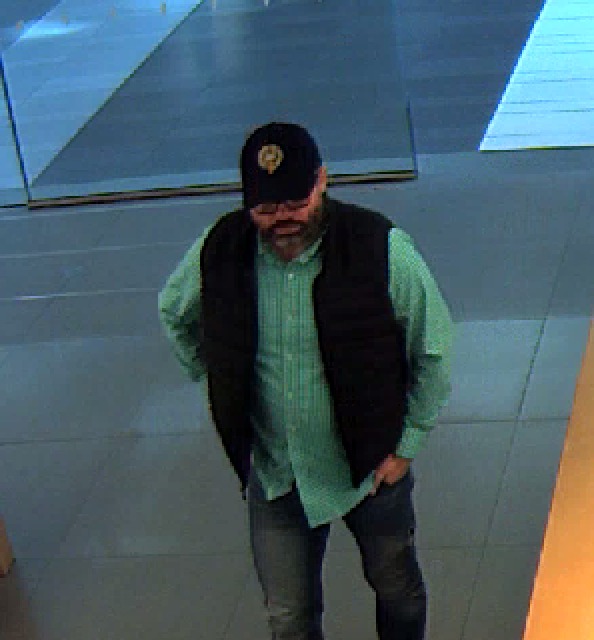 He’s wanted for using someone else’s credit card to make a $3,700 purchase at the Cool Springs Apple Store on December 6. A cash reward of up to $1,000 is being offered.